On the Football Analytics Websites you will find Football and peace – there are many contexts in which these words would not appear to belong in the same sentence. In fact the title of this article might be viewed by some as a contradiction in terms. A legacy of hooliganism from fans and unsportsmanlike conduct from players has earned football a reputation more closely linked to violence in some quarters. Many of those who traveled to this summer’s European Championships for example, would have encountered overstated safety concerns relating to racism and hooliganism. Disorder has become synonymous with elements of fandom, due to the disproportionality of some media coverage, and at times the reality of football violence. The friendly interactions between supporters of different countries far outnumbered the instances of violence at Euro 2012, yet the former are rarely deemed newsworthy. Football, as with most social activities, sporting or otherwise, is not a priori good or bad, but can produce positive as well as negative outcomes. In relation to participation (both on and off the field), football’s potential as a vehicle to promote social construction or deconstruction is dependent on how it is presented and experienced. Football was employed historically to facilitate social development in Britain’s public schools, with the notion of ‘Muscular Christianity’ also promoted in international contexts in order to advance the ‘civilizing’ process. More recently the game has been used to promote peace in certain politically and socially tense environments in communities plagued by separateness. In contemporary settings, some agencies have tentatively begun to use football to help combat violence, promote social harmony and even build peace. This does not mean turning up in war zones and arranging armies into football teams. Stabilizing social order and facilitating the effective transition from a cycle of violence to a culture of peace is never simple or easy. Important related objectives in post-war settings usually include providing for refugees and supporting their return, monitoring elections, promoting human rights, implementing proportionate policing procedures and providing services and programmes to promote social development and build peace. The framing of such procedures has been chronologically categorised, from a pre-conflict phase of preventive diplomacy, to a mid-conflict stage of peace making and peacekeeping, to a post-conflict phase of peace building. 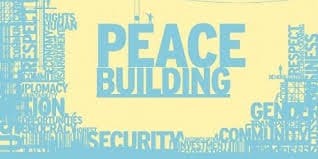 Peace building involves four key aspects, namely values, skills, football player analysis and processes. Values refer to the protection of rights and the fulfilment of needs, focusing on peace promotion and interdependence. This includes physical needs such as food, shelter and health, social needs including security, belonging, dignity and recognition, and cultural needs such as freedom and religious identity. Skill development is important for transforming tensions into relationships formed on commonalities of purpose. These include practical and communicative processes such as mediation, inquiry and dialogue. Analysis requires developing an understanding of local contexts, to determine the needs of community members and the mechanisms that could contribute to a relapse of violence and a means of facilitating security. Key peace building processes include reducing violence, transforming social relationships and developing sustainable capacities through intervention, education, research and evaluation. This complex web of procedures might serve to highlight the limitations and question the applicability of using a sport such as football in this context. Importantly, as a familiar means of social engagement, football should only be considered applicable in non-militaristic terms, to assist the developmental goals of post-conflict communities. Sustaining peace requires a shared, long-term commitment requiring community stabilization and effective peace building governance, particularly concerning groups who remain vulnerable to conflict. When considered in such development and political contexts, football can appear a little out of place. However, some organizations (including NGOs and universities) have noted the significance and applicability of football as an educational and developmental tool for youth populations. This is particularly relevant in socio-politically tense environments (including post-war contexts) where perceived differences between opposing groups would otherwise prevent participation and the sharing of sporting experiences, and the associated benefits. Community football initiatives have been implemented as a means of encouraging segregated groups to congregate in shared space for a football project. These are often small in scale, limited in time and participants and short-term. Such characteristics have not aided our understanding of their approach or impact. The context and method also differs between projects, and there is no real model of ‘football-based peace building’. I have worked on social involvement initiatives in 30 countries across six continents over the last decade, some of which have been in fractured societies. I’m often more mindful of the distinctions rather than similarities between projects. Nevertheless, what do football-based peace building initiatives look like? Project participants typically want to enjoy, succeed and improve, usually in that order. Therefore initiatives often incorporate fun, competitive and developmental aspects. Team building exercises should be integrated throughout, and some projects have incorporated problem-solving routines as a precursor to the football. Some of the more successful ventures have sought to imbed values within the programme, and coaching often forms the basis of transmitting these values to players. The competitive element sometimes culminates in a tournament, often framed as a ‘festival day’ to suggest a more celebratory focus. This provides players with an unregulated environment to illustrate the tactical, technical and moral lessons they have learned. Teams are typically mixed in relation to identities perceived to be in conflict, (such as ethnicity or religion), which prevents a victory representing a triumph over ‘the other’. Instead teams of mixed identities must cooperate in order to be successful in the tournament. For example, the STAR youth football initiative established in Liberia by the international NGO Samaritan’s Purse adopted a similar approach, working with groups of child ex-combatants. As with the Liberian project, the coaching staff who run the programmes are usually international volunteers, who teach the players new skills and seek to improve them as players. They also use their role model status to stress the importance of fair play, respect and other values deemed culturally relevant (common across societal divides), especially when receiving the winning team in the prize giving ceremonies in which these programmes typically culminate. However, this would be the basis of a useful model for such initiatives – it by no means reflects the reality of all such projects. Universities who have worked in this area often guard the intellectual property they produce, understandably so.There is no ‘football for peace’ manual that is sent to NGOs who have the capacity, inclination and access to sport-based programmes of this kind. These agencies often operate independently, working off assumptions or hope about what football can offer and achieve. Many projects lack longevity, because of questions about funding, organisational priorities or the effectiveness and efficiency of the programmes. Very few people can claim to be experienced in this area across multiple contexts, because there is no real network of initiatives. This is hardly surprising. The peace building branches of many NGOs (not that they would be categorized as such) operate in an inherently dangerous, expensive and inaccessible world. That said, the more ‘successful’ projects seem to be long-term, value-based initiatives, undertaken in relatively secure environments. Given that few programmes could claim to have achieved a host of specific objectives over a given time period, and the majority receive minimal publicity and do not welcome external analysis, the academic response to football and peace initiatives has understandably been limited, but it has also been laboured. From a political perspective, peace studies scholars have rarely perceived sport to be a legitimate and effective means of achieving sustained social development in relation to peace building. Meanwhile researchers from a sporting perspective have often overlooked or underestimated political processes and contextual nuances. Mistakes have been made and the necessary risks required for subsequent programming are not always taken as a consequence. There are some exceptions however. John Sugden’s work on the Israel-based ‘Football for Peace’ project is certainly worth reading. As colleagues of John, a number of scholars at the University of Brighton have examined the project within a variety of disciplines including pedagogy, politics, sociology, methodology and education. The project has been running since 2001 and seeks to make grass-roots interventions into Middle East sporting culture, whilst facilitating peaceful integration in the often violent, mistrusting and detached Jewish and Arab communities. It is a British Universities project run collaboratively by the University of Brighton, the British Council and the Israeli Sports Authority. The initiative employs a specifically designed value-based football coaching model, primarily as a form of moral and social education. Essentially, a number of students – primarily undergraduate students from Brighton – travel to Israel once a year for a two-week programme. They coach a mixed group of Arab and Jewish boys or girls from a similar area, working with local coaches who also serve as translators. The project has also recently developed some year-round cross-cultural collaboration. Of course, initiatives such as these present a number of inherent problems. In addition to the practical and linguistic issues, it is difficult to demonstrate and prove that they work, and that they are worth the risks involved. Training volunteers is challenging, and preparing personnel to work in the often dangerous environments these projects take place in is not easy – and the impact of a project will always be limited by the effectiveness of its staff. My research on this area has found that some perceive such initiatives as political engagements, others view them as programmes that ‘make a difference’ and others merely consider them an opportunity to play football. It is not possible to fully represent, reconcile or explain such diversity. However, it is important to state that even well intentioned, effectively managed projects will not produce the desired outcome or have the preferred impact on every recipient. Although project effectiveness is relative to the context in question, a programme could be judged effective if for example, it offers a sustained alternative to conflict, enabling otherwise warring members of fractured communities to engage in respectful sporting competition. Of course, measuring the value of sporting engagements such as these is a complex process. Yet when judging their impact, surely we can rely in part on the opinions of those who dedicate large chunks of their working lives to initiatives like these, in locations where they are desperately needed. Whilst working on projects I have interviewed dozens of local and international advocates of these programmes in nations such as Liberia, Azerbaijan, Israel and Russia. If they think they are worth the risk and resources, that football can reach beyond the political rhetoric and actually contribute to peace building, then long may these programmes develop.